Bangladesh Agricultural Research Institute published New job vacancy Notice at www.bari.gov.bd . 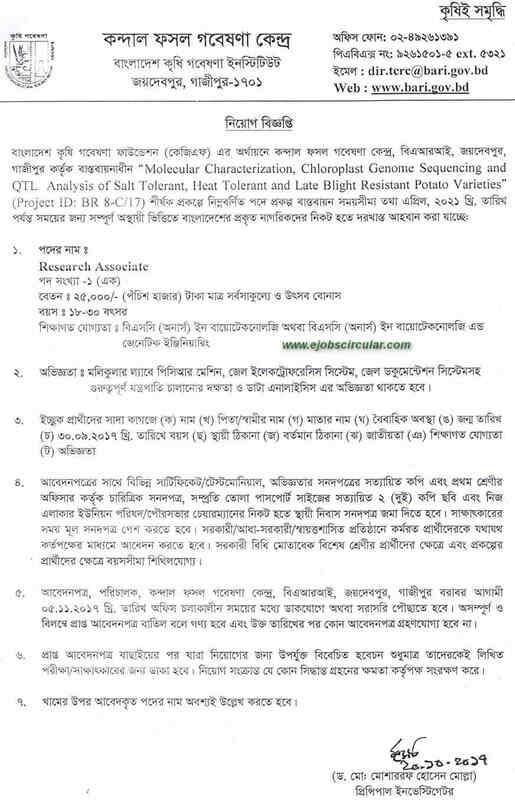 Bangladesh Agricultural Research Institute Job Circular offer New vacancy in this post Research Associate . BSC Graduate Student can apply this govt circular 2017.